On the night of October 30, 2013, an argument took place between 25-year-old Kimberly Martinez and her 21-year-old brother, Randy. It was over their even younger sibling (who is not identified in police reports due to being a minor), who had decided she wanted to bring a boy over to the house. 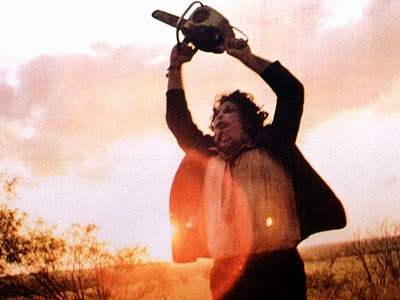 Kimberly saw no problem with this arrangement, but Randy had seen one too many horror movies to let this slide. He knew exactly what would happen if two opposite-gender teenagers were left to their own devices this close to Halloween. "Abstinence will be strictly enforced!!!" According to the sheriff's report on the incident, this disagreement over their sister having a boy over is what led to a verbal altercation that escalated into a violently physical one between the two. But I have very a hard time believing that a simple disagreement over letting their little sister potentially get her swerve on would lead to Kimberly threatening to kill Randy along with choking and hitting him...and attempting to put a cigarette out on his face. The bond between two sisters can be a strong one, but holy crap is that a lot of effort (and malice) on Kimberly's part (not to mention the fact that I'm kind of with Randy on this one).There probably had to be something else boiling beneath the surface between them to push turn spat into a brawl. It's also worth noting here that this was all happening in front of one of Randy's friend and his girlfriend, whose name is Mars. 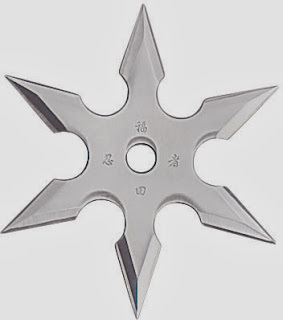 Kimberly must have been ticked that a man dating a girl named after a planet was trying to lay down the law on her sister's love life, because she went inside and came back out brandishing a fillet knife along with a collection of ninja throwing stars. At this point, Randy decided to abandon his side of the debate and ran like hell down the street with Kimberly in hot pursuit. Kimberly immediately chucked two stars at him (which hit near Mars' car) and a third down the street at her fleeing brother. After evading death (and his sister's terrible aim), the police were called to the scene. 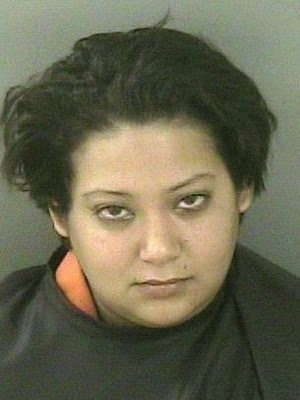 Kimberly Martinez was arrested and charged (I assume) with battery. She is currently being held in jail on $21,000 bond. which would mean she's already escaped. To get updates on when new articles or podcasts are published (and occasional random musings) 'Like' the official RamblingBeachCat.com Facebook page. Every time someone does, a sister decides that the best way to speak up for her sibling doesn't need to involve ninja weaponry or kitchen utensils.